Venice Architecture Biennale 2016: Dezeen is posting behind-the-scenes footage and previews of the Venice Architecture Biennale 2016 on Snapchat this week, from famous architects with cat faces to the best pavilions, installations and parties. The official Venice Architecture Biennale preview began yesterday, with hundreds of journalists and architects descending for the most important event in the architectural calendar. But Dezeen was given early access and we have been posting footage and images on Snapchat. On Tuesday we posted a sneak peek tour of the main Arsenale, curated by Chilean architect Alejandro Aravena. Yesterday we focused on some of the best national pavilions in the Biennale's Giardini venue, including the pool inside the Australian pavilion and architect Christian Kerez' surreal cave-like structure in the Swiss pavilion. 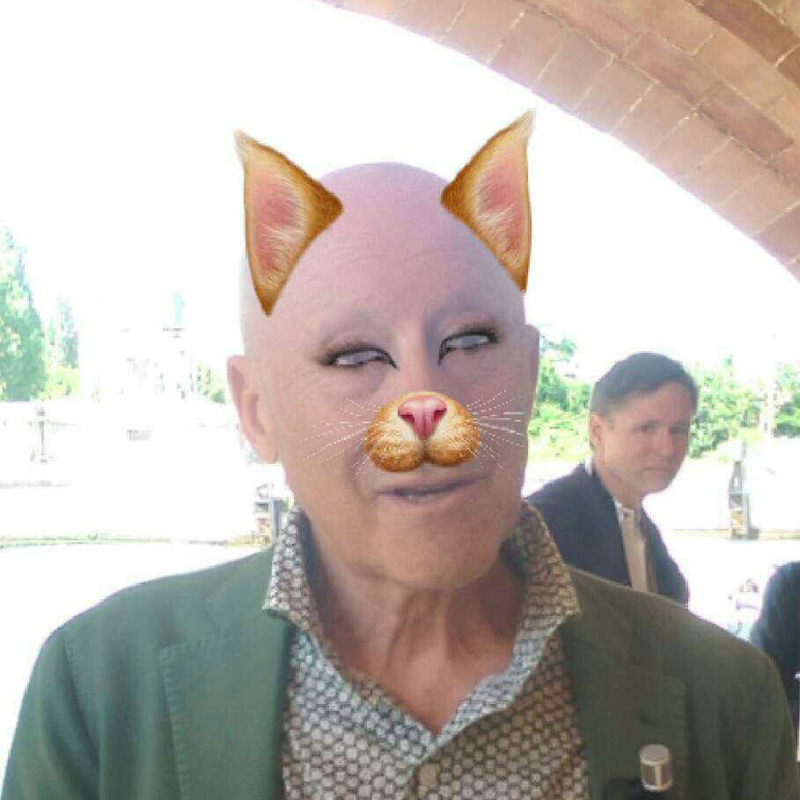 We also spotted famous architects, like Norman Foster (seen above with Snapchat cat-face overlay), who was launching the prototype structure for his droneport project in Rwanda. Snapchat posts expire after 24 hours, so to avoid missing any more of our coverage (and famous architects with animal ears), make sure you're following us. You can find Dezeen on Snapchat by searching for us by username or open the app and point your camera at our Snapcode (below), and then press and hold on the screen. You can also follow us by taking a picture of our Snapcode. Then simply open Snapchat, tap at the top of the camera screen and hit the "Add Friends" button. This will open your camera roll. Select Dezeen's Snapcode to follow us. Simple.